As far as we know the first showing of a Lumière film took place in Pitti Palace in 1897, and Florence can boast the first Italian movie theater: the Edison cinema in Piazza della Repubblica opened on June 10th 1900, hosting 100 seats. Producers and companies were rare and inconsistent: only in the 1920s the studios VIS in the suburbs of Rifredi were used for Romola, a Renaissance drama starring Lillian Gish, but no scene was actually shot in Florence: the city had been completely rebuilt in the studio and in the 1930s they moved permanently to Tirrenia, near Pisa. After the Edison Cinema more and more movie theaters opened in Florence: the Supercinema in the central via Cimatori was inaugurated by Douglas Fairbanks and Mary Pickford. The most significant construction was the Odeon Cinema – Theater. Its stained glass dome, the statues and lavish décor are still visible today.Their programs frequently include films in English. The Italian journey as a revelation or eye opening experience has been the subject of many productions that mix history, traditions and stereotypes with the main plot: in Light in the Piazza the couple visiting Florence go see the Historical Florentine Football game, in September Affair Joseph Cotten and Joan Fontaine visit the highlights as do Lucy Honeychurch and her chaperon in A Room with a view whereas Franco Zeffirelli’s A tea with Mussolini offers a glimpse of the life of the Anglo-American expats before WWII. Jane Campion in The portrait of a lady had an innovative approach to photography and tried to obtain a hyper realistic and suffocating representation of the city, from the point of view of her female lead. 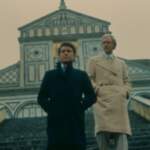 Among the many Italian movies set in Florence it is worth remembering Family Diary by Carlo Lizzani, who won the Venice Film Festival and is based on the biography of the writer Vasco Pratolini, and interpreted by a young Marcello Mastroianni, with inspired melancholic photography. 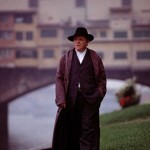 The first part of Hannibal is completely set in Florence: Hannibal Lecter has fled to Italy disguised as a scholar. The Hannibal itinerary through dark alleys and nocturnal views casts a dark shadow on the paths followed everyday by tourists: the Mercato, the Piazza Repubblica and the Old Bridge shown in deserted nights together with the aristocratic appeal of the Santa Maria Novella Pharmacy and the majestic mansions where Hannibal dwells during his stay acquire an obscure charm. 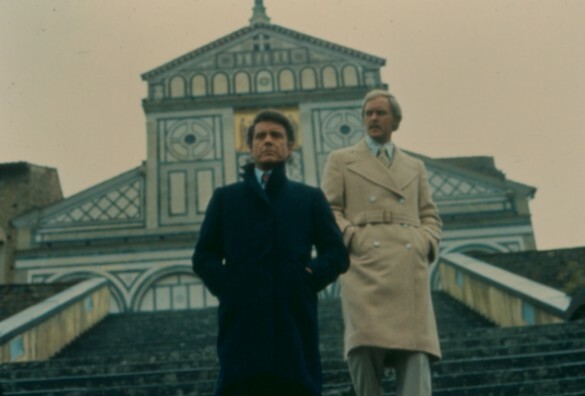 Brian de Palma had previously also made an attempt to an unsettling approach of Florence iconic monuments and views in Obsession, where the church of San Miniato is used by the main character as a model for a wedding cake and a funerary monument. Florence has contributed to the movie industry also with important personalities: Franco Zeffirelli, born in 1923, attended the Florentine Academy of Fine Arts and started working with Luchino Visconti and Silvano Campeggi, who attended the Art Institute in Florence and worked for all the major studios: Metro Goldwin Mayer, Universal, Paramount, RKO, Dear Film, creating over 3000 posters for films such as Gone with the Wind, An American in Paris, Singing in the Rain and West Side Story to remember but a few. 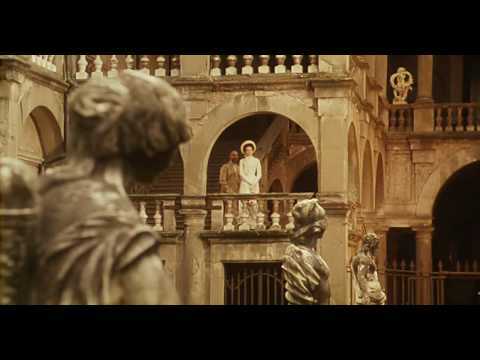 And of course Roberto Benigni, Academy Award for Life is beautiful, represents Tuscan wit at its best. Interested in a tour of the places most frequently appearing in movies? Contact us for details.